Which Repairs Are NOT Your Landlord's Responsibility? As a renter, you may not feel much sense of responsibility to the home you're currently living in. We tend to think that when any problem arises, it’s automatically the landlord's duty to fix it. Most states require that landlords keep their properties habitable. While that covers a large number of things around the house, there are certain tasks that will be yours, the tenant's, responsibility. Tenants are generally required to fix things they break. And even though you can’t cause smoke detector batteries to die, you’re probably abusing the landlord/tenant relationship if you’re calling them to come replace them. Go buy more batteries and replace them yourself. 2) Burned out light bulbs. Yes, you should replace burned out lightbulbs. And no, you shouldn’t remove them and take them with you when you move. Having said that, if you replaced the rental’s light bulbs with a particular kind you want, like long-lasting, low-energy bulbs, you have every right to take them out and move them with you. Just be sure to replace them with the original bulbs before you leave the rental. Actually, this could go either way. While most landlords assume responsibility for major appliances in the rental, not all are required to fix them. Some landlords include a clause in the lease stating that appliances are there for the tenant’s use, but are not part of the rent. This means that if something does break, the tenant is financially responsible for fixing it. Be sure to review your lease and know what’s expected of you should your dishwasher stop running. While they can be extremely annoying, dripping faucets are not something to call your landlord for, if they aren’t causing any mold or structural damage. Either learn to live with it or tinker around and see if you can stop it yourself. This is a great opportunity to learn something new from YouTube. We’ve all dealt with this before. You flush the toilet, and notice minutes later that the water never stopped running. No need to call your landlord, toggle the handle or pump. If that doesn’t work, turn off the water using the valve on the wall next to the toilet, and turn to YouTube. If the problem persists, call your landlord. As gross as it might become, caulking isn’t something your landlord has to fix, unless water is leaking and creating water damage. You should always take care of your shower and clean it regularly. But if the caulking is starting to peel or getting grimy, let your landlord know and they’ll probably let you replace it yourself. If the kids throw a rogue ball and break a window, your landlord isn’t required to replace it. However, you should give your landlord a call to let them know what happened, and see how they want to go about repairing it. Chances are, they’ll coordinate the repair and either let you pay for it or have you reimburse them. Chances are high that if your plumbing is backed up, it’s because of something you did or didn’t do. Be wise and throw big pieces of food in the trash before rinsing your plate in the sink to avoid food build-up. If you bathe your dogs in the shower, clean up hair rather than letting it go down the drain. Simple acts like this should help you avoid minor clogs. However, should you notice the water draining slower or a smell coming from the drain, purchase a bottle of Drano and take care of it yourself. If it persists, contact your landlord. 9) Holes in the drywall. As tough as we like to believe it is, drywall is actually quite fragile. If a toy is thrown too hard or the kids were rough-housing a little too much, you may end up with a hole in your wall. This isn’t something your landlord needs to pay for. In fact, if you feel confident in your ability, you can probably patch it up yourself. Just be honest when it comes time for the final out walk-through. Dings in the baseboards are all too common. Perhaps you’ve run the vacuum and hit them or your puppies think they’re chew toys all around the house, but this problem is relatively inexpensive fix. Instead of replacing them, you can repair the occasional ding and dent with some epoxy putty. 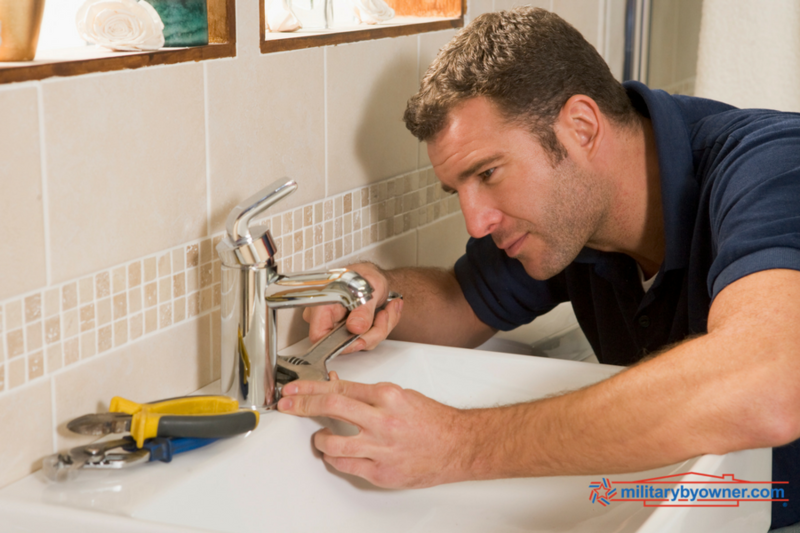 Tenants are required to make repairs that they’re responsible for. However, if any repairs call for replacement parts, you should contact your landlord and see how they want to go about getting it fixed. When in doubt, call your landlord. And always let them know if there are any major problems in the rental. 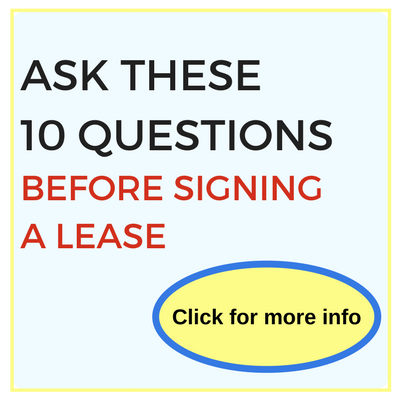 You should be familiar with your state’s laws and lease terms so you know what’s expected of you as a tenant! Copy and paste the text in the box to share the below image on your site.